5x3" Black And White Display (4.7x2.5" Active Area). Fully Configurable Layouts With RD 1 Drag And Drop Design Software. 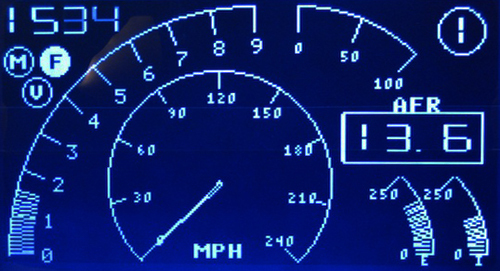 Add Gauges, Bar Graphs, Text Items, And Lights Anywhere On The Screen. Export And Share Layouts In The Online Community. 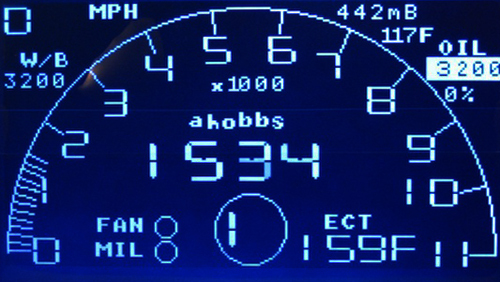 Odometer Support With Programmable Base Mileage And Trip Odometer. Warnings Above or Below A Set Threshold That Flash The Screen, Flash The Individual Item, Or Flash Both At The Same Time. Supports NepTune, NepTune RTP (Original and Demon), Hondata S300 (v1/2 ONLY), Hondata K-Pro, eCtune (Demon And CN2 Port), Crome (CN2 Port, No Demon), And AEM EMS. 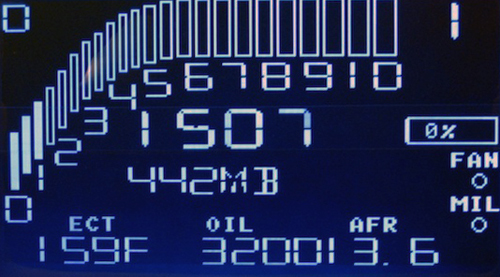 Upgradable Firmware For An Expanding Featureset. Datalog Through The TunerView With NepTune, NepTune RTP, eCtune, Crome (Crome Pro). Check Codes On All OBD1 Systems, Clear Codes On All Except eCtune Demon. K-Pro Supports Clearing Codes Only.